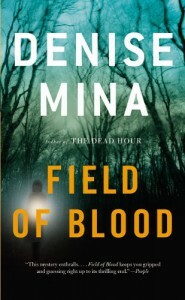 THE FIELD OF BLOOD by Denise Mina is the first of the three book series featuring Paddy Meehan, an overweight female working in the city of Glasgow as a copyboy in a newspaper. The book is set in the 1980s, when a toddler called Brian Wilcox gets kidnapped and is found brutally murdered a few days hence. The police swiftly latches on to two 10 year old school students as the prime suspects. But, Paddy egged on by the sense of duty (as one of the suspects in a distant relative), and more importantly on discovering a link which the police overlooked, Paddy takes it upon herself to unearth the real criminal, as she gets confirmed that the police is working on putting the blame on the students thereby washing their hands off the case. The author like many fellow Scottish Crime writers, Denise Mina used the city of Glasgow and its atmosphere along with the underlying tension between the Catholics and the Protestants to create a vivid background for the whole novel. But, still I can’t say that I am ecstatic about this book. My singular point is, this is Crime fiction and if the crime part along with the solve and motive falls flat, then the whole book falls flat. No amount of Glasgow or religious tension can save it, atleast in my eyes. The plot was flimsy, along with the motive. The reason given as to why the kid got kidnapped was too bad to be taken seriously. 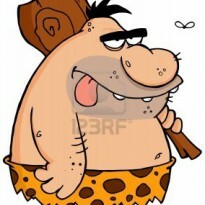 The parents of the kid hardly get mentioned. The culprit before being nabbed got only a few paras of exposure thereby making him an unknown entity that falls out of the sky to be branded as criminal with conveniently placed clues. And then there were the, atleast 100 extra pages of a commentary on the real life crime featuring a man named Paddy Meehan. I still can’t get the point, as to why the author wanted this incident in the book, or more importantly why the editor saw that it’s important for the book. Other than providing inspiration to the protagonist Paddy Meehan, those pages served no other function. Summing up, I give this book 2.5 out of 5 stars. Though heralded as the new Queen of Tartan noir, Denise Mina disappointed me with this book. The plot had potential, and the book with 150 pages short and a bit of twist in the plot could have been a better work of Crime writing.